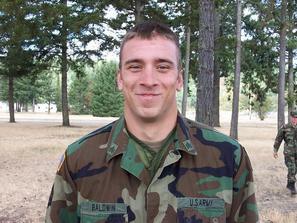 Baldwin: Fort Lewis, WA; Fall, 2005. 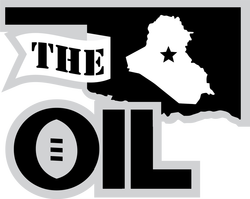 Yancy Baldwin was in the 158 with the rest of the Oklahoma Boys in Iraq in 2006. He was stationed at Camp Liberty and served as a squad leader taking a crew out into Baghdad each day. His fantasy football career started in the MGL in 2010. After Josh Hastings left the OIL to commish the MGL full-time, Yancy took his place. Yancy joined the OIL in 2011 and finished in fourth place both of his first two seasons. 2013 was rough for him, and he didn't make the playoffs. Instead, he finished in seventh place, just out of the playoffs. 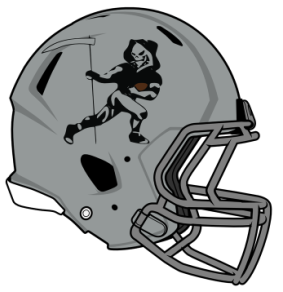 In 2014, each team in the OIL had their uniforms mocked up by Andrew Krause Design. 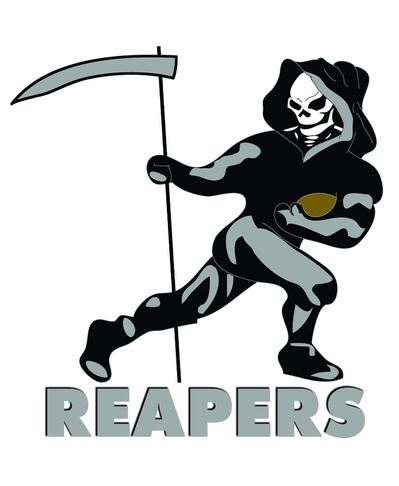 After a redesign for Dead Again, it was clear that not much distinguished that franchise from Baldwin's Reapers. 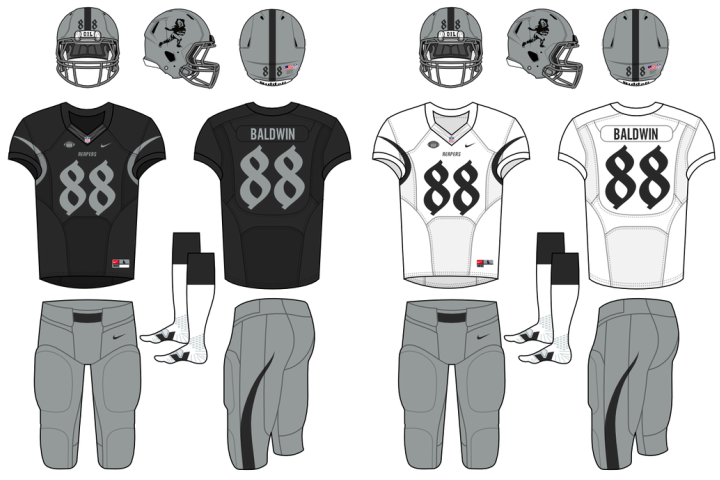 They each shared a common theme (death) and a common color scheme (silver and black). 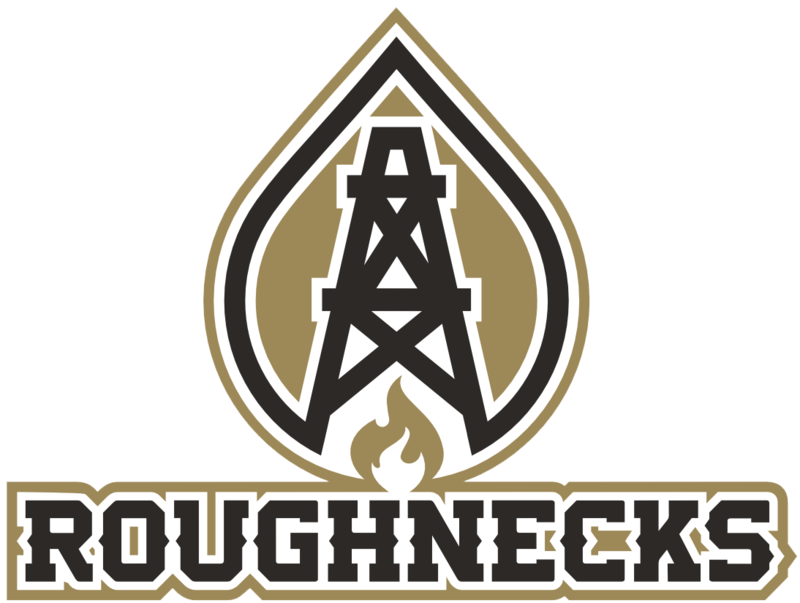 Commissioner Cliburn asked Baldwin if he was willing to rebrand his franchise as the Roughnecks, and he agreed. 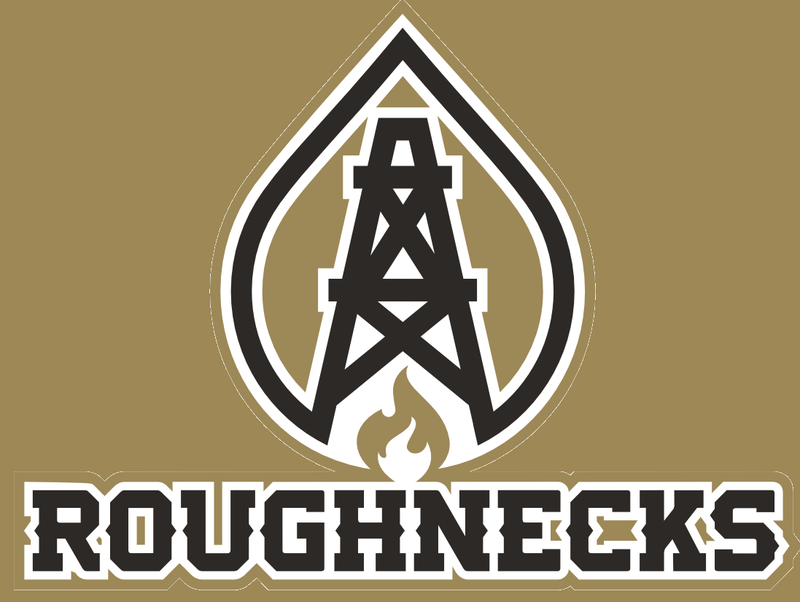 The result is a completely new identity that stands out among the franchises of the OIL.